Robert Griffin III exploded onto the NFL scene with a style and flair anything but typical. With a Heisman Trophy on his mantel, RG3 entered professional football in 2012 under a spotlight that glowed beyond his own team, the Washington Redskins. Could the Baylor graduate electrify the NFL as he had the college game? Could he return a fabled franchise to the realm of elite Super Bowl contenders? Author Ted Kluck deepens the reader's connection to a man who became the face of a revered NFL franchise before his twenty-third birthday. One player fueled by infectious enthusiasm for his craft. One man whose authenticity somehow seems to match his otherworldly skills on the gridiron. RG3's focus on victory stood second only to the wisdom of his father: "Remember faith first." Kluck follows RG3's career from the very beginning. 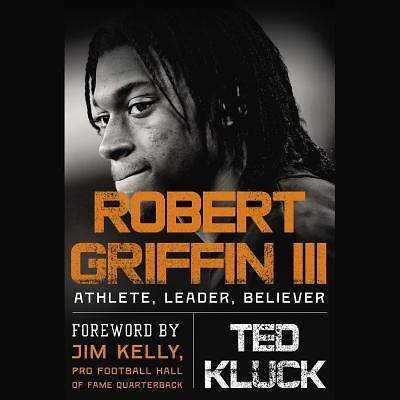 In addition, he dives into RG3's relationships with and comparisons to players such as Tim Tebow, Michael Vick, Marcus Lattimore, Kyle Shanahan, Randall Cunningham, Tom Brady, Aaron Rodgers, and more. Robert Griffin III's story surpasses standings and statistics. Succeeding as a professional athlete is a challenge of the first order. Thriving as a cross-cultural phenomenon is the foundation of legends.